Amed is the most commonly used base for scuba diving ‘passionistas’ of all levels wishing to dive the world famous USS Liberty wreck. This world-class dive site is actually located in Tulamben, about a half hour drive from where we are. The USS Liberty is a former cargo ship from the US Army which got torpedoed by the Japanese in 1942. The Americans were able to salvage the boat onto the Tulamben beach where it remained for over 20 years. Then, in 1963 came the eruption of Mount Agung, Bali’s most respected volcano. The lava and subsequent earthquakes pushed what was left of the vessel into the ocean, and since then, thousands upon thousands of divers from all over the world have explored the legendary wreck. The bow of the shipwreck lays in shallow waters, at about 6 meters, and is very close to the shore. It can easily be observed by snorkelers as well. The stern can be explored at a depth of 29 meters. The wreck holds the habitat of a school of the impressive Bumphead Parrotfish. With large green bodies, blunt pink heads and gaping, prominent teeth, they may not win any beauty contests, but they sure make for great photo subjects. A must-see during your underwater adventures in the Bali sea! Despite the reputation of the Liberty, the quality of diving on the rest of the coast is not to be underestimated. Divers from all over the world will deeply (no pun intended) enjoy the undersea wonders of this part of the Bali waters. Amed offers anything from muck diving (macro life is thriving here!) to reef diving and even some wall diving. The vast majority of the dives can be done from the shore, which makes it ideal for beginners. More complex dive sites can be reached on one of the small local outriggers, which will provide you with a more complete impression of this beautiful coastal scenery. Not to mention the possible encounters of wild dolphins swimming along your boat. For all and any diving enthusiasts, we can arrange a variety of diving trips to any of the nearby diving spots. For the beginners, we can also arrange courses or introductory dives with qualified & certified 5 star PADI Diving Instructors. 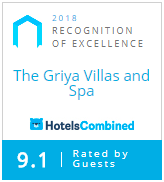 Please check with our Front Desk Staff or Reservation Team (reservation@thegriya.com) for pricing and booking. Some of the best snorkeling in Bali can be found in Lipah Bay, in Jemeluk Bay as well as on the Japanese Shipwreck in the village called Banyuning. You just swim 10-15 meters from the beach and the reef is right there! You can rent good quality snorkeling equipment from The Griya reception. See the famous 130 meter long USS Liberty ship wreck with snorkels! On the way we make short stops in Jemeluk Cliff (view of Mountain Agung and blue sea)- Sea salt traditional makers - Amed terrace rice fields - Tulamben-Balinese local spirit (Arak) Homemade production. Have you always wondered what it’s like to breathe underwater? If you want to try scuba diving, but aren’t quite ready to take the plunge into a certification course, Discover Scuba Diving is for you. Our diving center we’ve partnered up with each offer this program either in a pool and/or off from the shore. After a pool session, which provides optimal safety and security, and provided you feel ready and up for it, your Instructor will then take you for one or two dives in the sea, to a maximum depth of 12 meters. While not a scuba certification course, Discover Scuba Diving is a quick and easy introduction to what it takes to explore the underwater world. Practically, you’ll get picked up at The Griya around 8.30am and you’ll be back between noon and 2pm, depending on how many ocean dives (1 or 2) you will have done. To sign up for a PADI Discover Scuba Diving experience, you must be at least 10 years old. No prior experience with scuba diving is necessary, but you need to be in reasonable physical health and feel comfortable in the water. PS: Your PADI Pro will provide all the basic scuba gear you’ll use including a mask, snorkel, fins, regulator, buoyancy control device, dive gauges and a tank. Just come with your swim suit and a towel. The Japanese Shipwreck is one of the most beautiful snorkeling sites in the Amed area, which is located in Banyuning village. The small shipwreck is covered in hard and soft coral and has a wide variety of fish swimming around it. The wreck lies in a shallow water only around 15 meters from the beach and it is easily accessible. Incl. equipment and water for max. two guests per boat. 14 km or 2.5 hours adventure at Telaga Waja (class 4) river valley going down the slopes of Mount Agung. Breathtaking views and great fun! Please check the pricing with our front desk staff at the reception, they can help you for booking the trip. The price includes transportation, meal & insurance. Experience the stunning sunrise or sunset at the open sea in local fisherman’s “Jukung” catamaran and enjoy your breakfast (sunrise) or a bottle of sparkling (sunset) on the boat while fisherman is trying to get a catch of the day. The hotel provides life jackets.